1. Summer low is defined as the water level that is exceeded for 95% of the time (95 percentile). The water level will be below this for approximately 18 days in an average year. The base level for the River Alness as measured on the SEPA gauge in Alness is 40cm. A measurement of 70cm on the SEPA gauge in Alness is therefore 30cm (1 ft) above summer low. 2. Choice of rod should be based on the water conditions (higher water = larger flies = higher AFTM rating lines and rods), and the size of fish expected. Single-handed AFTM #7/8 weight rods are fine in low to mid water levels and for grilse, but it is not advisable to fish with too light a rod in late summer and autumn when there are many larger salmon in the river or in high water when tube flies are required. 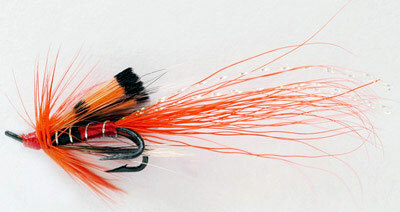 The Alness is not a wide river; a 12-13ft AFTM # 8/10 double handed rod will cover most conditions. A 15ft salmon rod of higher AFTM rating can be used, particularly in high water, but it is not essential and can hinder short casting, useful in low water conditions.